This post is part of a virtual book tour organized by Goddess Fish Promotions. 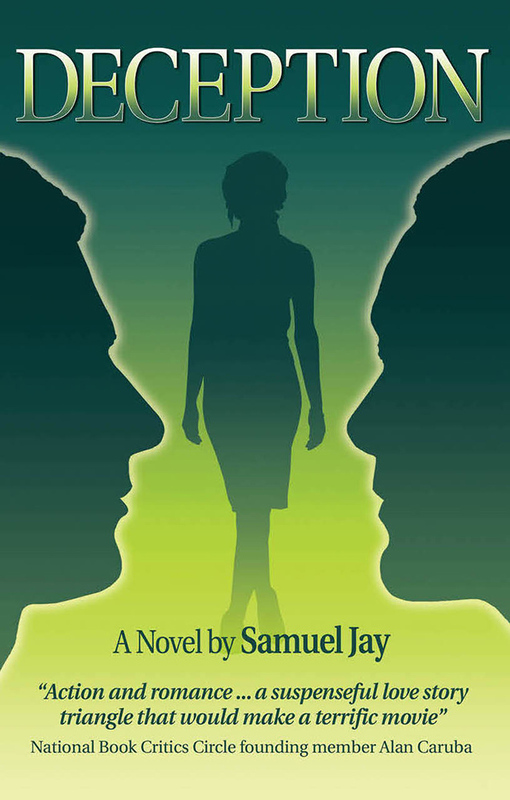 Samuel Jay will be awarding a signed copy of Deception to a randomly drawn winner via rafflecopter during the tour. Click on the tour banner to see the other stops on the tour. However, Jack is alive, and after a year of imprisonment, he manages to escape. But he comes home to find Diane married to Vidal and his life still in peril from the information he learned in Vietnam. Vidal, Jack, and Diane find themselves wrapped in a web of romance, deceit, and danger – and none of them will escape unscathed. Standing in the men’s department at Macy’s, Diane Gannon smiled as she enthusiastically fingered her way through layers of folded sweaters to find one for her fiancé, Jack, who’d soon be coming home from the war in Vietnam. Alongside her was future mother-in-law, Grace Morro, also smiling as she held a shopping bag in both hands. Out in the center aisle, heel-clicking women shoppers marched along on their way to Ladies’, some of them peeling off near Diane and Grace into other rows and racks of men’s clothes. Brightening the scene, broad paths of sunlight flowed through the large windows on Seventh Avenue, revealing rows of appealing merchandise as saleswomen stood behind glass counters, chatting with customers or placing clothes in gift boxes. About the Author: The author and his wife, Joan, live in Hunterdon County, NJ. As a public relations professional he and his firm successfully handled major public issue campaigns, including raising $68 million to build Liberty Science Center, now the nation’s fourth largest hands-on science museum. He is also president of a family-owned water utility. Deception is his third novel. His website is samueljaynovels.com, and he welcomes speaking invitations and correspondence via amuel@samueljaynovels.com.